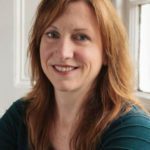 Covering the history of Scotland in the period up to 900 AD, Conceiving a Nation reforms our historical perceptions of what has often been dismissed as a ‘dark age’. In this introductory extract, Gilbert Markus examines the important emergence of trade, culture, and empire which collectively circulated goods, people and ideas in the early centuries. Scotland first appears over the horizon of history not in its own records, but in writings from the Mediterranean world. As early as the sixth century BC, traders from Marseilles (Massilia) were describing trade routes in a periplus, a merchant’s guide to coastal ports and trading routes. The original text of the Massilian Periplus is lost, but parts of it survive in a Latin poem written in the fourth century ad. It is the earliest surviving record of a network of trade and cultural exchange embracing the Mediterranean and north Atlantic coasts of Europe. Archaeological evidence shows that by the time the periplus was written such networks were already a long-standing feature of life on these coasts, where goods, people and ideas moved freely. The discovery of numerous bronze weapons, as well as tools, buttons and other more mundane objects, has demonstrated trading connections between Scotland and the Continent, as well as with southern parts of Britain and Ireland. A bronze sword found in the River Clyde is a ninth-century BC import from the Continent. Along the southern shores of the Moray Firth and in Aberdeenshire, several finds of bronze goods indicate connections with northwest Germany about 700 BC. In Corrymuckloch in Perthshire, a hoard of bronze objects dated to around 800 BC includes a sword of continental type. In the same hoard a ‘ladle’ points to a tradition in which food and drink were not merely for the satisfaction of bodily needs, nor even an expression of community cohesion, but provided an opportunity for the display of status. Feasting and drinking were ceremonies of power, and bronze swords are the material remains of a social order that probably pervaded most of Europe: a warrior elite in a hierarchical society exercised power by the exploitation of the labour of peasant farmers, expressing their power by their mastery of bronze weaponry, flaunting it by conspicuous consumption and by the use of luxury goods in social rituals and symbols associated with food and dress. The widespread use of bronze points to a society in which distant communities were connected by trade. Bronze is an alloy of two metals, copper and tin, which do not often occur close to each other in the earth. This means that mines in more or less distant locations must extract their ores and transport their produce to a single place in order to create the alloy. The very existence of bronze, therefore, requires a network of trade, exchange, transport and management. The tin used in Scottish bronze probably came from Cornwall, or perhaps from continental Europe. Whoever acquired bronze by trade must also have had some form of wealth to give in exchange. The elite swordsmen and feasters of Perthshire must have been able to extract sufficient tribute from their underlings to pay for this metal – though words like ‘trade’ and ‘pay’ may be slightly misleading, and exchanges may have included a range of social interactions such as gift exchange, marriage gifts and symbols of political alliances. All these interactions could provide the impetus for the movement of goods around Europe. Later Classical writers occasionally quote another Massilian called Pytheas, who wrote in the fourth century BC, referring to the island as Bretannike, though some manuscripts represent the name with initial P- suggesting that he may originally have known the island as Pretania. Pytheas seems to have recorded Orkney (Orkas) in a passage cited by Diodorus (c. 30 BC) in which this is one of the three corners of Britain, the other two being Kantion (Kent) and Belerion, which must refer to Cornwall, where he says that the inhabitants mine and smelt tin, manufacturing ingots which were then transported to the coast of Gaul and from there to the mouth of the River Rhone. These Cornish tin miners and traders were perhaps among the contacts with whom the Veneti in southern Brittany are recorded as trading in about 56 BC, when Julius Caesar dealt with these people. Caesar was impressed by their sea-faring skills and the quality of their ships, and noted that the Veneti were a maritime empire, ‘holding as tributaries almost all those who are accustomed to traffic in that sea’. Their skill and marine power could not save them from his army, however, which, after a siege, slaughtered their leaders and sold the rest of the population into slavery. In sum, long before the Roman Empire showed any interest in the island as a target for colonisation, Britain (including Scotland) was part of a European culture of trade and exchange. The ‘insular’ geographical position of Britain did not make it culturally insular. The island was not separated from the Continent by water; it was connected to it by water. Seaways and rivers were, throughout the period discussed in this book, the most efficient ways of transporting goods, people and ideas. 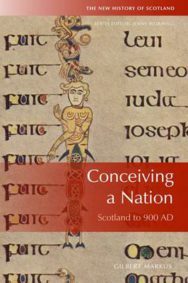 Conceiving a Nation: Scotland to 900 AD is out now published by Edinburgh University Press priced £19.99.